A Senior Special Assistant to President Muhammadu Buhari, who was indicted by a House of Representatives ad hoc panel for allegedly being in possession of a fake O'level (WAEC) result, has said that he won't resign. In a statement released to the media on Thursday, the Chairman, Special Presidential Investigation Panel on the Recovery of Public Property, Okoi Obono-Obla, refuted reports that he was under pressure to resign over a report that he allegedly forged his WAEC certificate. The presidential aide said the purported report is false, baseless and wicked, adding that the matter in question that necessitated the report from an online newspaper was in court. He said further that some people were after him for daring to investigate and expose assets hidden abroad by some powerful people in the National Assembly. 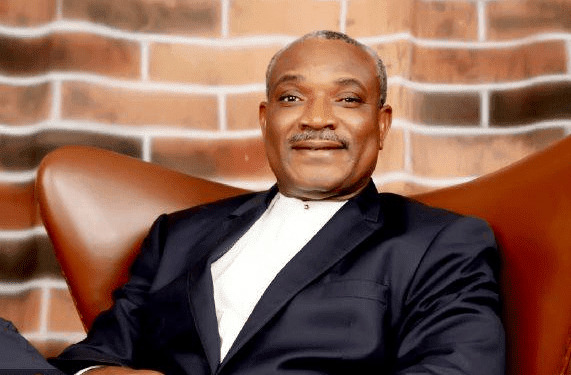 Obono-Obla, is alleged to be in possession of an invalid O’level result, according to findings by the House of Representatives ad hoc panel investigating the Special Presidential Investigative Panel for the recovery of public property. The panel had said in the course of its primary assignment, it discovered the presidential aide might have forged his way into the University of Jos where he studied and subsequently, the Nigerian Law School. But dismissing the report that he was not under any pressure to resign, the presidential aide said the issue was currently in court. Obono-Obla said: “The matter is in the Federal High Court Abuja. It was filed since June 2018 and the House of Representatives Committee was duly served but they ignored the matter and went ahead to procure false witnesses to give evidence behind me. “This is contrary to the Rules of the House of Representatives that say if a matter is in court, it should stay pending its determination. Is the House of Representatives a court of law? “The answer is No. Is the House of Representatives constitutionally empowered to investigate forgery or crime? The answer is No. “Even though the matter is in Court the Committee hastily and hurriedly turn the report to the media in July 2018. This was also done when the House was in recess without even waiting for it to be tabled before the House.